It's been a long time since I've had the opportunity to get out into an area without light pollution. When I look up into the night sky, I question if my memory of the Milky Way was only my childish imagination run completely wild. There are only a few consolations and planets visible where I am now. If it wasn't for the moon, I would forget to look up sometimes. I first became interested in astronomy when my dad took me outside of town to see Halley's Comet. I was only a toddler and it is probably one of my earliest memories. After seeing the Perseid Meteor Shower in 2004 during a New Moon and witnessing hundreds of meteorides, it has become an annual quest for dark skies. This year had only a very small window between the sunset and moon rising for the meteor shower. When the window is so short, it is often advised to look before dawn on dates when the moon is near full. I decided to head out towards the Lick Observatory near San Jose to get a good view. 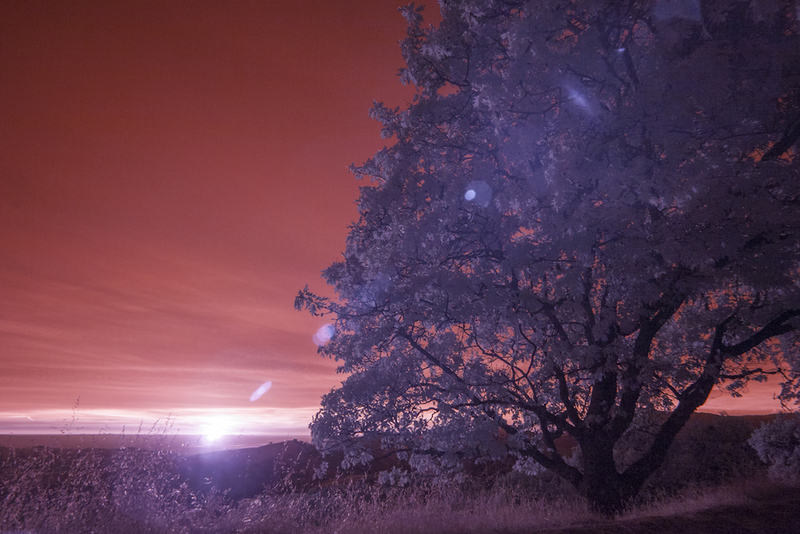 Taking photos of the sunset with my infrared camera proved to be beneficial. I especially like the photo at the top of the post that shows the city lights of Silicon Valley with the illuminated sky. I unfortunately did not pick the best location for taking astrophotography. Although Highway 130 leading up the observatory may seem remote at first glance, there is actually a surprising number of people that were traveling on it last night. There are plenty of wide spots along the highway to get great vista shots. 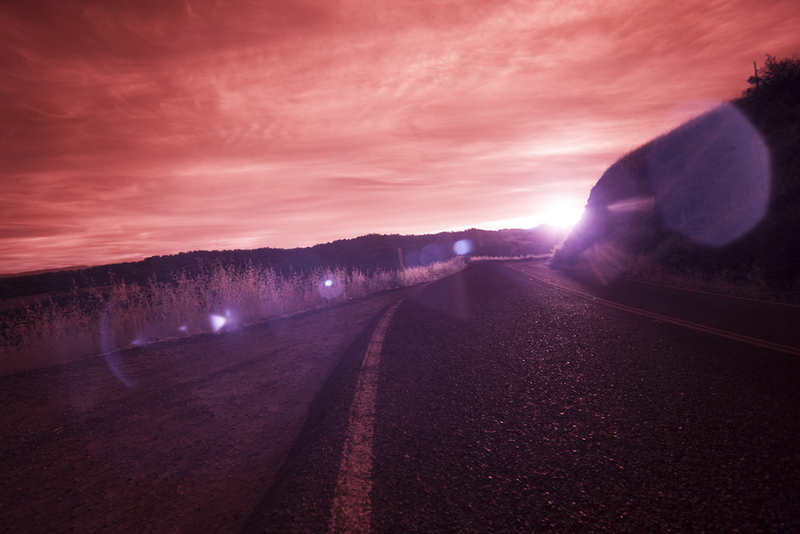 The light traffic poses a problem though long exposures and the possibility for lens flare. In the photo to the right you can the tail lights of a car that drove by during my 10 minute exposure. Even though the photo has its flaws (lens flare, noise, and light streaks) I do like that I was able to capture one meteoride blazing as it fell towards Earth. Make a wish.